"We are in a state of chaos. In a city in which I live, I hear and see examples of chaos almost everyday. "Little children are victims of senseless gun violence," Sandra wrote two years ago about gun violence in her Milwaukee neighbourhood. Sandra called her essay 'Our Truth' - a sobering reminder that, as she said, people's poor choices and hatred have led to so much violence. She wrote about trying to escape from the chaos, from the "black on black crime" that depressed her. Sometimes she would put on her headphones, she wrote, and let the music take her away. But she couldn't escape from it. Days before Thanksgiving this year, Sandra (13) was in her bedroom when a bullet - fired from a gun outside, aimed at no one in particular - pierced a hole through her home and landed in her chest, officials said. "Momma, I'm shot," she told her mother. Sandra, the girl who called for peace and empathy, died on Monday night. "Tragically, her death was caused by someone who just decided they were going to shoot bullets into her house, and she's dead. 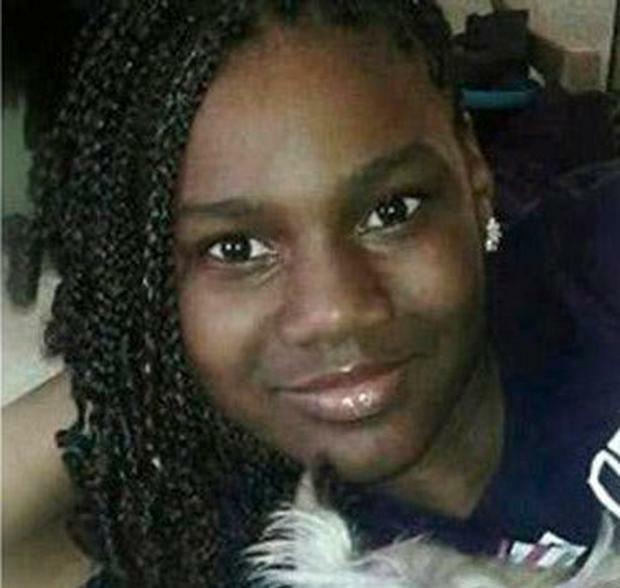 "A 13-year-old, on Thanksgiving week, on a school night, in her bedroom, and she died," Milwaukee Mayor Tom Barrett said. Investigators have not said why gunshots were fired at the home, a few miles north of downtown Milwaukee. Perhaps the gunman wanted to "settle a score, express anger, try to scare someone," Mr Barrett said. "All we know," he said, "is that a 13-year-old died last night in her bedroom." Bernice Parks, Sandra's mother, told police she was awakened by gunshots shortly before 8pm, according to a criminal complaint cited by the 'Milwaukee Journal Sentinel'. She saw her daughter bleeding on the floor. "She said, 'Momma, I'm shot. Call the police'," Ms Parks told broadcaster WITI, her voice breaking as she sobbed. "I looked at her. She didn't cry. She wasn't hollering. She was just so peaceful... She didn't deserve to leave this world like that." Police have arrested Isaac Barnes (26) and Untrell Oden (27). 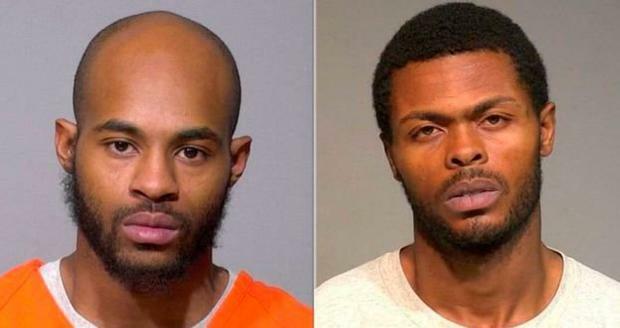 They were walking home from a store when Barnes began to fire at no-one in particular, Oden told detectives, the 'Journal Sentinel' reported. Authorities said Barnes's ex-girlfriend told a police officer that she suspected he was involved in the shooting. She was parked on a street near Sandra's home earlier that night when Barnes, masked and armed with a rifle, approached her, the 'Journal Sentinel' reported. "You lucky the kids are in the car. I was going to fan you down," Barnes said, the woman told police. Officers searched the neighbourhood and found Barnes and Oden hiding in a house a few blocks away. An AK-47 rifle was in a bedroom, and an AK-47 handgun had been found, thrown into a kitchen trash can. Four shell casings found outside Sandra's home were fired from the handgun, the 'Sentinel' reported. Barnes is charged with first-degree reckless homicide with a dangerous weapon and endangering safety. He and Oden, who have previous convictions, are also charged with illegal possession of a gun. In 2016, Milwaukee Public Schools held an essay contest about Martin Luther King Jr.
Sandra, then a sixth-grader, won third place. She chose to write about gun violence because the world had failed to live up to the civil rights leader's dream, she said in an interview with Wisconsin Public Radio. "The world that we have become now is, like, that all you hear about is somebody dying and somebody getting shot, and people do not just think about whose father, son or granddaughter or grandson that was that you just killed," Sandra said. The teenager, who was in eighth grade (second year) when she died, had hoped to go to college to be a writer, her mother wrote in a GoFundMe page set up to help the family pay for memorial services. It had raised more than $10,000 by Thursday morning. "I never felt so lost," Ms Parks wrote on Facebook. "My chest feels like a [boulder] is smashing down on my heart. I need peace. I lost my love." Speaking to reporters this week, the mother of three could barely catch her breath as she sobbed and buried her face into a relative's chest. "She was everything this world was not... She went through a lot, and every time she was down, my baby picked herself up... She always picked herself up... She was my angel from the time she was in my womb to the time she came out. She's still going to be my angel," Ms Parks said. On Tuesday, neighbours, friends and relatives gathered for a vigil for Sandra. Bernice Parks stood in front of reporters, wrapped in a light-pink blanket, with a picture of her daughter's face pinned to her jacket.